Pigmeat company Rosderra Meats has confirmed that it has placed 850 workers on protective notice 'with immediate lay-off' as a result of the current meat contamination scare. The company, which has plants in Edenderry, Roscrea, Clara and Stradone, said it had no alternative because of the uncertainty in the industry caused by the recall of all Irish pork products. Earlier, the SIPTU union said that up to 6,000 jobs in the pig industry were at risk. Overall, 2,000 workers in the pig industry have been put on protective notice. The Association of Pigmeat Processors did not return to slaughtering this morning as they insist they need a massive financial package to help them cope with the recall of pigmeat. The processors say they may need up to €1 billion from the Government because all of the recalled product will come back to them. They say that legally they cannot buy a pig at the moment because they cannot quantify their financial exposure. The association was meeting the Taoiseach and the Agriculture Minister this evening. Meanwhile, a group representing food and drink exporters has said the implications of the recall of Irish pork go beyond the direct export of pig meat. Food & Drink Export Ireland, part of the Irish Exporters Association, said the move would affect other companies such as pizza producers, food service companies which produce sandwiches and speciality pork pie and hamper producers. The group estimates that total exports of pigmeat and related products are worth €750m, with 63% going to the UK. IEA chief executive John Whelan said severe damage to the export trade was inevitable. He called on the Government and Bord Bia to support the industry and respond with 'positive marketing' in the aftermath of this incident. 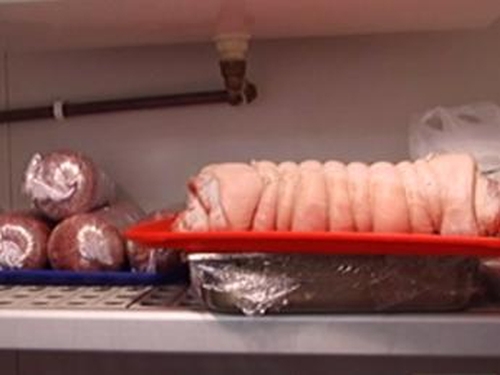 Pork products were recalled after dioxins were found in pig meal on both sides of the border. Consumers are being advised to use their right to a refund. The National Consumer Agency says shoppers with receipts are entitled to their money back on pork bought since September. Meanwhile, Breeo Foods, which markets the pork brands Galtee, Shaws, Roscrea and Barcastle, says it has implemented an immediate plan to temporarily to source 'safe, traceable pork meat' from EU countries outside Ireland. Breeo Foods said that its new supply arrangements meant it would continue supplying the Irish market.